home. Learning must not cease in school, but continues all the way home. It is an ongoing process in which children continuously practice the skills they have been taught so as to improve and retain them. It has been observed in many surveys and studies done that children who have supportive parents and who are given guidance at home with regard to their lessons tend to be better achievers in the academic world. One big struggle that many children face in school is the subject of mathematics, especially when they are first introduced to the concept of multiplication. It takes time and effort to associate those sets of illustrated or concrete items with the numbers presented in a multiplication equation, and then to eventually figure out how to compute the given equations without any pictures or actual objects as guidance. Afterward, this scuffle leads to the necessity of learning by heart the entire multiplication table in order to move on to more challenging and advanced multiplication problems. So what are parents supposed to do in order to help out their kids? 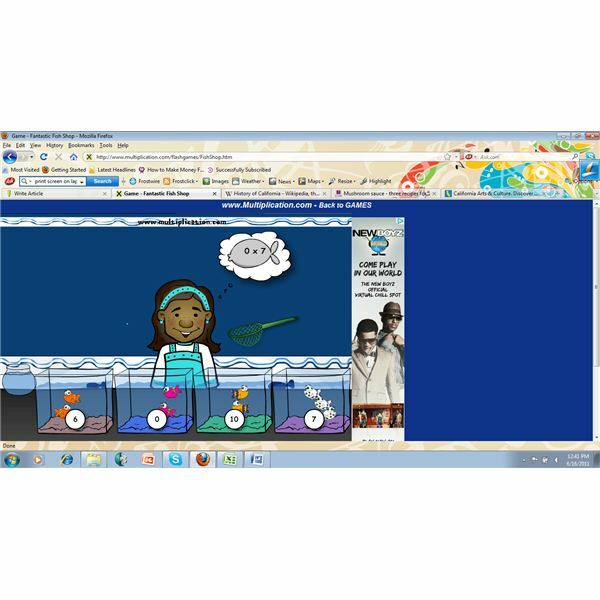 Below are several easy ways to help children learn multiplication tables in the comfort of your own home. Do not underestimate the power of the tried and tested flash cards, especially when it comes to the mastery of the multiplication tables! These are not only very easy to make, but they are also handy and helpful. Simply grab a few index cards, or you may opt to use old folders in different colors for an interesting variety. Just be sure not to settle for ordinary paper which can easily tear or get worn out over time (unless you have plans of laminating them!). With the use of thick colored markers, list one equation only in each card. You may also print out the equations. It's up to you, as long as you use a big font size. Furthermore, it is essential that you avoid adding any other text or even designs and fancy calligraphy. This will encourage kids to focus better. Every day, you must quiz your child on the multiplication table using these flash cards. It would be good to concentrate on just one number as the multiplicand or multiplier for each day. For instance, on Monday, you use the flash cards that give the drills 2 x 1, 2 x 2, 2 x 3, 2 x 4, and so on. Or you can do the opposite by using the cards with 1 x 2, 2 x 2, 3 x 2, 4 x 2, and so on. Then on Tuesday, you can use the ones with the number 3 as the multiplicand or multiplier. Remember that it is important to start out like this before you do random review. Create a routine at home for your flash card drills. You can do the exercise right before working on your child's homework for the day, before or after dinner time, or before going to sleep. It depends on you and your child as to when is more convenient and effective. In addition, you can make the exercises more appealing by turning them into simple games. One game you can do is to put pictures on the other side of the cards that relate to your child's interests. Spread out the cards with the pictures facing up and let the child choose one card at a time to open and answer. If he or she gets it right, it must stay opened. If not, it has to be turned again. The goal is to have all cards opened. For a competitive edge, you can have him or her play with other kids, giving all participants the same number of cards. Flash cards can be your starting point. Once your child is beginning to memorize the drill items, you can incorporate repetitive mental calculation exercises. This is much easier because it does not require you to prepare anything. 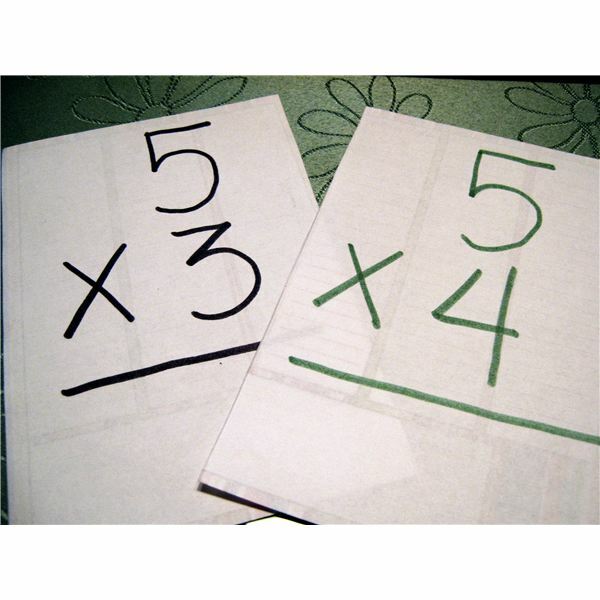 All you need to do is to encourage your child to actively engage in mental multiplication by giving the equations orally without visual aids. At first, you can do the same method as with the flash cards — use the same number as multiplicand or multiplier for each day. Later on, you can vary them to test your child's mastery. You can do such mental math training right after using the flash cards, before your child's designated study time, or before going to sleep. It is also beneficial to slip it in as a game during dinner. This can be done by having the child skip a bite or spoonful whenever he or she misses a correct answer. Or you can give rewards at dessert time, such as small pieces of chocolates or candies for every right answer. With these techniques, kids are likely to become more engaged, excited, and willing to participate. Nowadays, children are very adept at using different gadgets. Most cannot be pulled away from their computers. They play games, surf, download music, watch videos, and go on social networking sites to chat with their friends, view pictures, and many more. Now why don't you use this to your advantage? You can inquire about and purchase games and drills on multiplication from your local computer shops. Just be certain to check if these are age-appropriate for your child. Another option is for you to search on the Internet for websites that offer these. By doing so, your child may become more eager to delve into mastering the multiplication table. It can also be more effective since these are more likely to capture and hold their interest while learning at the same time. You can make your child's learning a lot of fun! Create a variety to chase away boredom and restlessness and so as not to waste time and effort. Scavenger Hunt. Hide the flash cards around the house and let the kids gather as many as they can in 2-3 minutes. Afterward, they have to bring back the cards they were able to collect and answer each one correctly in order to earn a point. If the child is alone, you can just give a time limit and challenge him or her to do better next round. You may also opt to hide instead pieces of paper or cards that contain the answers. Show a flash card one at a time and let the kid/s look for the answer. Round Robin. You can make the child's learning experience a family affair. Learning occurs while you bond with one another! Just form a circle and take turns thinking of random numbers from the multiplication table to multiply together. Have the one beside you answer your equation. Another way to do this is by taking turns saying multiples of a certain number (ex. 5, 10, 15, 20…). Sticky Notes. Leave sticky notes on your refrigerator or other parts of the house. These must contain multiplication equations that your child has to answer. Perhaps you can add motivational messages like "You can do it!" or "Go get 'em, my Math Whiz!" You may also wish to include rewards they can look forward to such as "Answer this and skip a house chore of your choice" or "Get this right to earn a new toy/game".